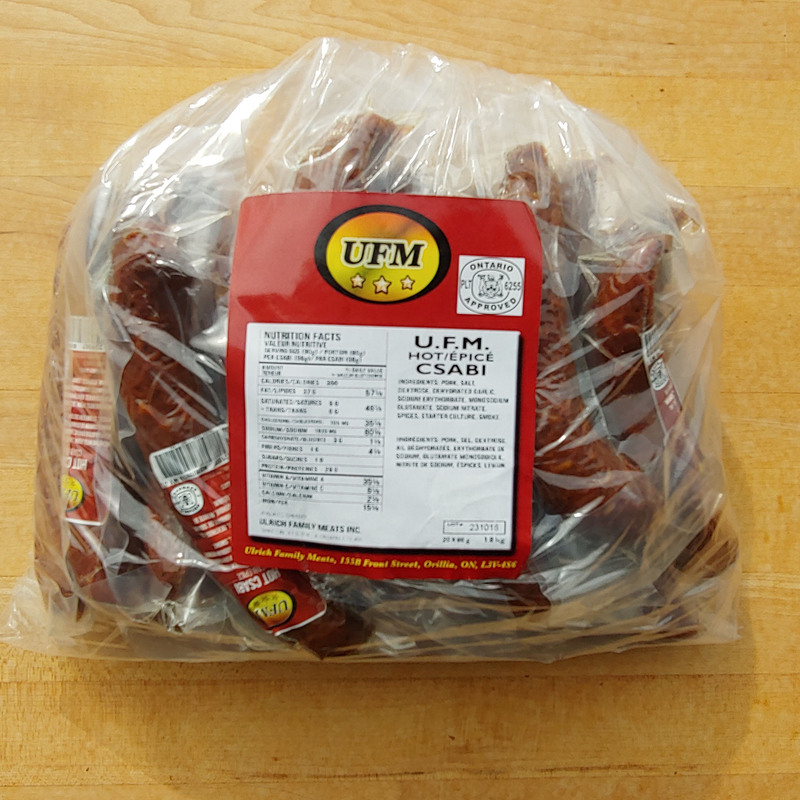 UFM Csabi sausages are a perfect snack to tame you inner carnivore. Their texture is desirable because they are course ground for maximum enjoyment. 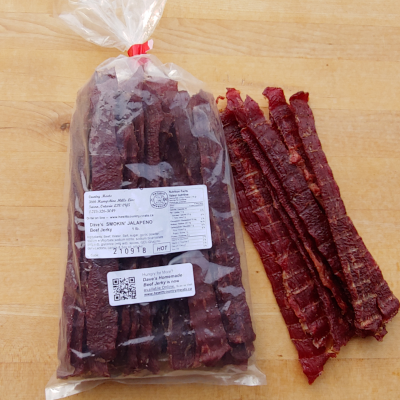 Enjoy thinly sliced on a cracker with cheese or right out of the package. 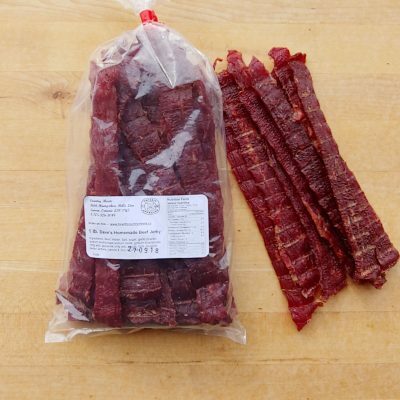 They are shelf stable which means that no refrigeration is required. They are so full of flavour they are more addictive than potato chips. 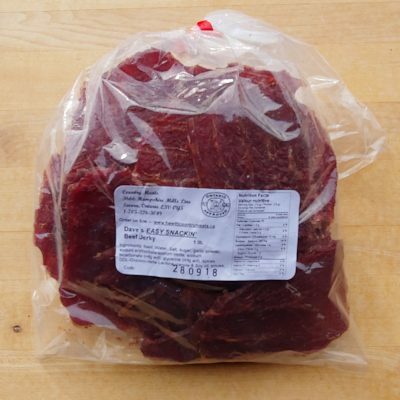 Choose this 100g sized Csabi in either Mild or Hot flavours.